The Guardian’s Childrens’ Book Club sent me this book proof to review. I was the first person in the whole of the world to read it and I felt very privileged. I read it on the day it came out. It is about a teenage boy who is washed up on the banks of the River Thames by St Paul’s Cathedral without any knowledge of who he is and how he got there. It is a matter of life and death – literally! It is a thriller and most of the chapters, much to my disliking, are left on cliff-hangers! There are some scary bits and some sad bits and some bits where you just don’t know what’s going on. The end is left on a cliff hanger ready for the start of the next book – even more to my disliking! But I didn’t dislike the book. I was desperate to read it every night. It had good descriptions especially of the archives in St Paul’s. The only character which was fully described was the boy from the Thames. Recommended Reading Age: 10 yrs and above. You will like this book, if you like: massive twists. How does it make me feel when reading it: It makes me feel like I am there and I feel empathy for the characters. 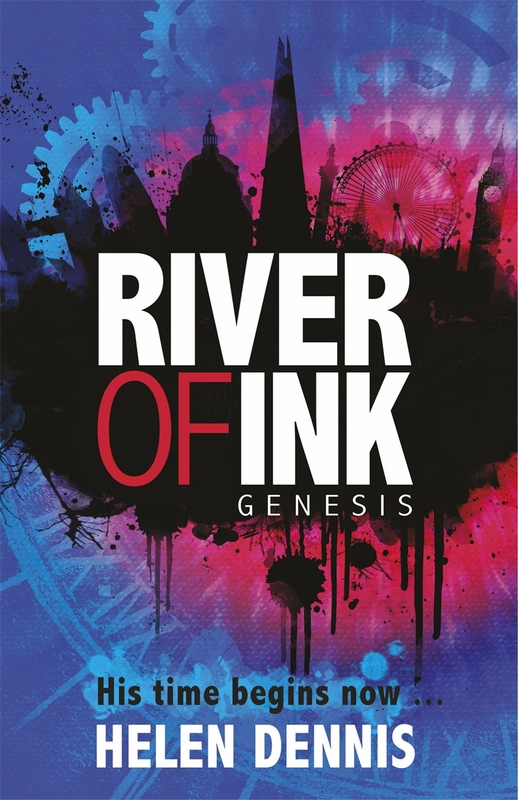 This entry was posted in Book Review and tagged Book Review, Helen Dennis, River of Ink, River of Ink Genesis. Bookmark the permalink.